For those who weren’t able to make it to our last Band Parent Meeting, you can read the minutes by clicking right here. Roxane does a great job of keeping track of what transpires and you can always access any of the meeting minutes from the Forms & Docs section of the Macband Website. And for those who are craving a bit more meeting time, the Music Boosters have another Jazz Night committee meeting coming up this Wednesday at 5:30 p.m. in the Freshman Den at the High School. Feel free to join us if you ‘d like to help out with this fun event. And while Jazz Night (the annual fundraiser for the the McMinnville Music Boosters) is still a couple months away, I am already working on gathering info and photos for the evening’s printed program. I have (or have access to) plenty of photos of the Marching Band and Jazz Band, but if you have (or plan to take) any photos of the many other performing groups in the school district, could you please send a few my way? Thanks. 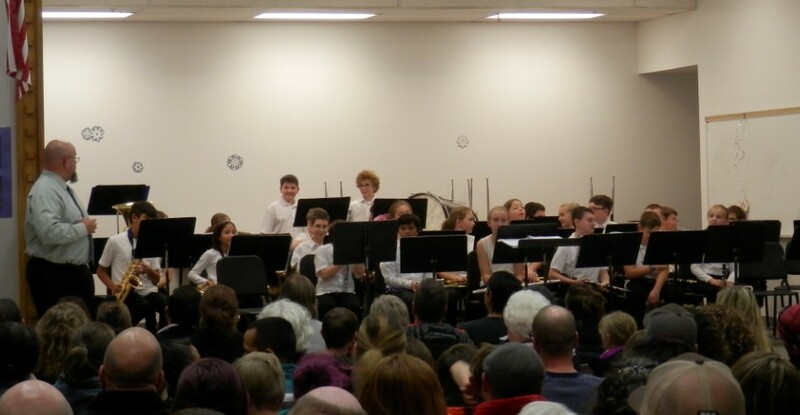 Duniway Middle School Concert – Thursday, November 29th @ 7:00 p.m. The Duniway Band and Choir students will be presenting their Winter Concert in the Duniway Commons. And unfortunately I haven’t had a chance to find out more details, but I believe that Saturday, December 1st will be an Experience Day for both Winterguard and Indoor Drumline. If your kids are interested in either of these groups, I’m sure they will be getting more information from Mr. Barton.